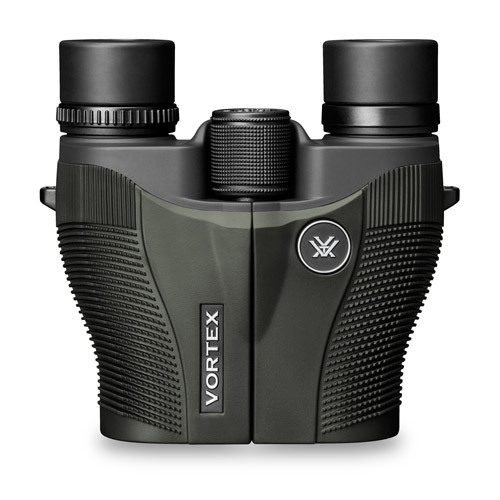 Vortex Binoculars: Optics You Can Rely On! Working in a gun shop, I get to see a lot of different products. Guns, scopes, rangefinders and binoculars. When I first started there, I had not heard much about Vortex, but after selling a few scopes, bore-sighting rifles and looking through the scopes myself, I could tell right away that they were a quality company with equal quality products. I decided to buy a pair of small binoculars, because my old Tasco were getting hard to focus (after 20 years). 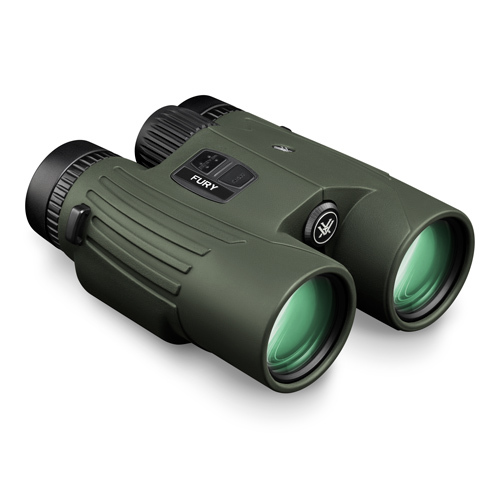 So I decided to try a pair of Vortex Vanquish, 10X26 binoculars. I took them out squirrel hunting and I was amazed at how well I could see. I was even able to pick out a squirrel that was laying flat on a limb 30 feet high. Being able to see clearly for the first time in years through binoculars that were compact and crisp was almost as good as when I got Lasik eye surgery. I was amazed at how much better I could see and the price was right at $129. After a few weeks of using the Vanquish, and deer season coming up soon, I decided I would buy the Vortex Fury HD, 10X42 Rangefinder Binoculars. I figured that having a rangefinder and binoculars together would save a lot of movement in the woods by having an all-in-one product. I received my binoculars two days before the West Virginia Bucks Only Rifle season opened, so I was pretty excited that I would get to use them the first morning. The Vortex Fury, was amazing! I could range out to 1600 yards (even though there is no where I hunt that is that far) and could see up close just as clear. It has many functions that allow you to range an individual object, or if you hold the button down, it allows you to range while scanning. It was well worth the $1599 price tag! The opening morning, I began by ranging different objects so that if a deer came by one, I would know how far away it was. I ranged squirrels, turkeys, anything that moved. I was definitely like a kid in a candy store. Without seeing a deer for a few hours, finally a doe came running down the trail. So I ranged her, 28 yards! I was looking at her through the binoculars, noticing that she had her mouth open, tongue sticking out and gasping for air. She turned and ran into the brush. Not 30 seconds later, I see a buck, running down the same trail. I pulled up the binoculars, and I could see he was a five point, not one of the bucks I was after. But I ranged him too! I probably would have ranged a tank if it had come through the woods at that time, because I was having fun. The five point ended up going the same way as the doe, and I knew he was chasing her! Once I let the small buck go, it wasn’t a minute later, I saw another buck, following the same trail as the first two deer. As he got closer, I could see he had a nice rack, but from the side, I could not tell quite how big he was. I put the binoculars on him, and noticed what looked like a drop-tine. As he turned to follow the trail of the smaller buck and the doe, I noticed his rack was wider that his ears. So I decided to take him. Turned out to be a nice eight point with a 16 inch spread. He wasn’t a huge buck, but he was mature and with the help of my Vortex Fury HD Binoculars, I was able to see clearly enough to see he was a nice buck. Not all hunts go this well, but it is worth noting that no product can make you 100% successful, but it does not hurt to have good equipment when you are trying to outsmart that nice buck! For more information on Vortex Optics, go to www.vortexoptics.com and see their whole line of scopes, binoculars, spotting scopes and accessories, you will be glad you did. 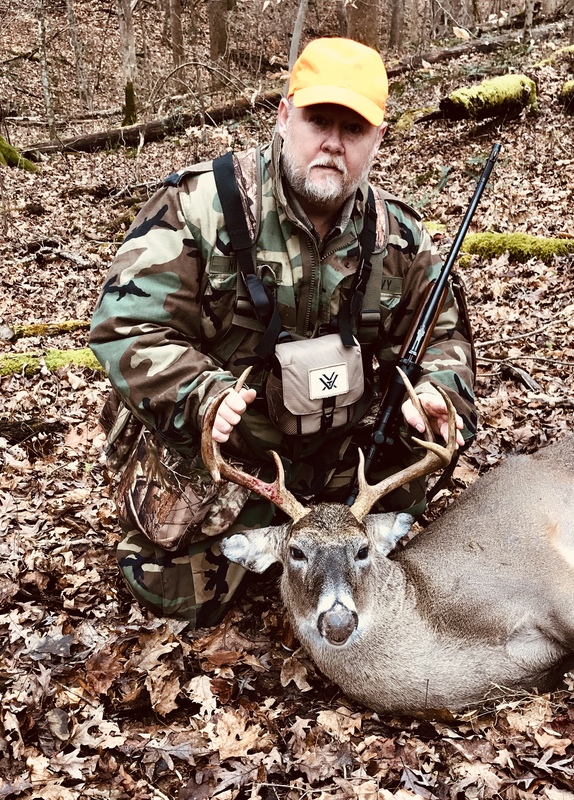 This entry was posted in Guns, hunting and tagged binoculars, Deer Hunting, rangefinder, rangefinding binoculars, Vortex, Vortex Optics, West Virginia by Jeff Nichols. Bookmark the permalink.